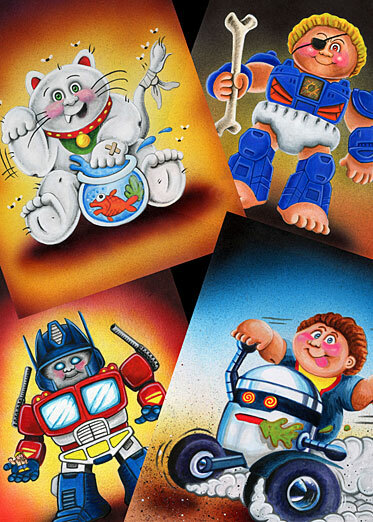 Born in 1980 in Rotterdam the Netherlands, Vincenzo D’Ippolito aka Chenduz was raised on 80s and 90s toys, cartoons and silly and gross sticker cards like GPK. He’s been a fan since day one, when he purchased them as Sgorbions in Italy, and is still fan of to this day. Chenduz is an autodidact sketch artist/illustrator and began working for Topps 5 years ago on Wacky Packages Old School Series 5. 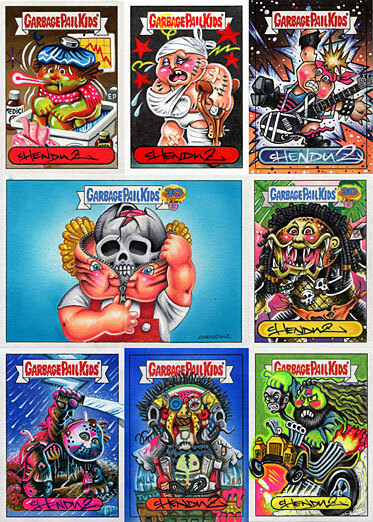 He later moved on Garbage Pail Kids and has worked on over ten GPK series. 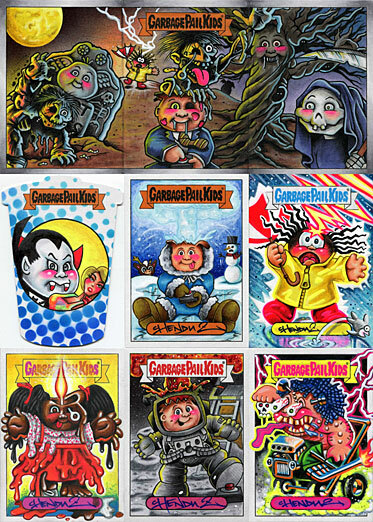 He still enjoys working every day on GPK. 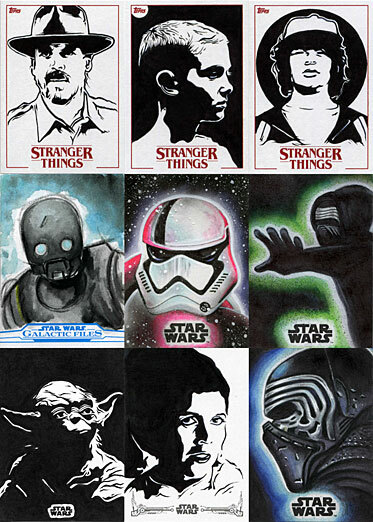 After a couple of years working for Topps, he branched out to other lines including Star Wars, The Walking Dead and Stranger Things. 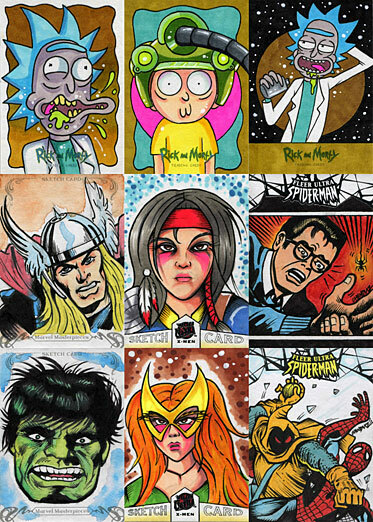 Before long, his work was noticed by other companies and he was invited to work for Upper Deck on a few Marvel sets and Cryptozoic Entertainment on Rick and Morty. He is currently working with Cryptozoic and Dynamite on new projects which he’s not at liberty to reveal but will do so later this year. He is also working on some interesting personal projects which will also be revealed further in the year. Chenduz loves attending comic conventions and says it’s wonderful to meet all the amazing collectors as not only does he draw for collectors but is a huge collector himself.